My hearing is poor even when I'm wearing both my hearing aids. But because I have punctured ear drums my doctor has recommended that when alone I take them out to let my ear drums dry out and that's when my world goes silent. I wasn't born this way so the change was quite shocking when it happened as an adult in the early 90's. 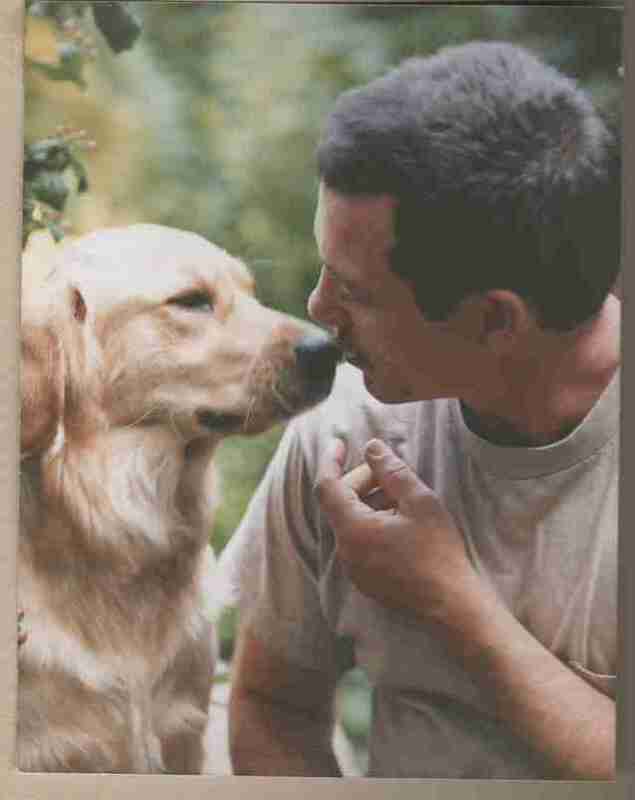 Back then service dogs were becoming more popular for people with hearing loss. 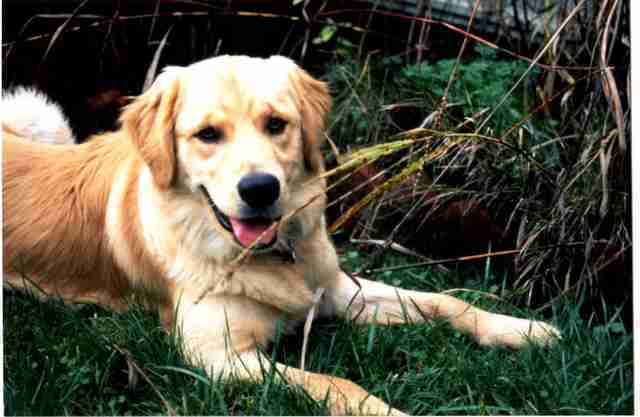 With my doctor's recommendation I had my Golden Retriever, Willy, tagged as an assistance dog. Often times when people saw me with Willy they came up and asked me what he did. 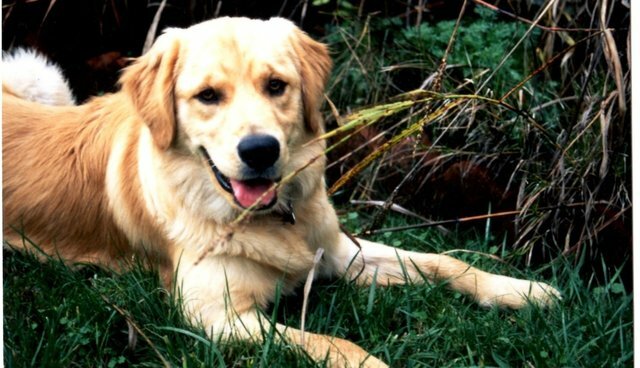 I can tell you from my own personal experience, aside from letting me know when someone was at the door or when there was noise on the property, a hearing dog can be a life-saving matter. One morning, a couple of months after moving into our new home in Palm Springs, I took a short break from digging in the garden to fry a couple of eggs in a skillet. While the eggs cooked, I went into the bedroom to look up something on the Internet. Suddenly, Willy pawed at my leg. Usually if someone was at the door he'd come nearby and stand next to me until he got my attention and I would follow him out. He didn't usually paw at my leg so I suspected that something was amiss. Suddenly I remembered the eggs and raced back into the kitchen to see flames shooting up all around the stove. I tossed some water on it but that just made things worse. I reached for the fire extinguisher but couldn't get it to work, I'd never used one before, and didn't even know if this one worked. Finally, I grabbed a dishtowel and, holding it with outstretched arms, carried the pan out of the kitchen, through the back porch and into the yard. When I turned around black smoke drifted throughout the house. I opened the windows and ran several fans to clear the air. I petted Willy's head and said to him, "What a good boy." I was startled by what had happened. I didn't even know if the smoke detectors were working. I put my hearing aids in and when I pressed the red button on the alarm I heard the whistle so it seemed to be in order. That's the disadvantage of not wearing my hearing aids around the house. I also wondered why I couldn't get the fire extinguisher to work. They always seem to work easy enough in movies. The kitchen was still too smoky to cook in, so while the smoke cleared I went back into the bedroom to finish my internet search. Soon, Willy was pawing my leg again. "What now?" I ran into the kitchen and saw black smoke from the porch. Flames shot up there from a bucket filled with cleaning rags sitting on a table. I grabbed the entire table and through the dense smoke, dragged it into the back yard. When I returned inside I saw that the walls were black, a window had broken and the heat had cracked the porch stucco wall. "Good work, Willy." Though I wondered what was going on. Nothing like this had ever happened to me before. I knew then that I was never going to be able to leave the kitchen when cooking. To remind myself I placed a big note on the stove "Don't leave the kitchen while cooking." Thank goodness for my hero, Willy.